One Music PH teams up with ABS-CBN Lifestyle, MYX, and L.U. 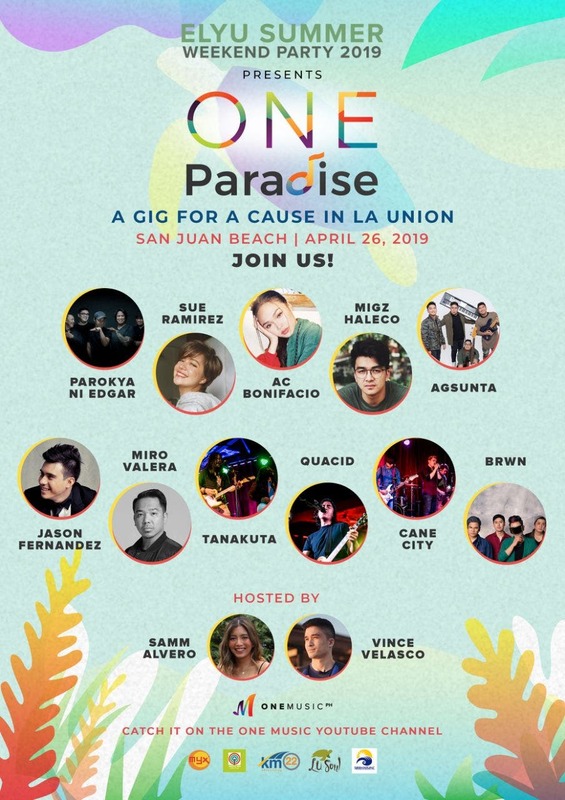 Soul and returns to La Union for “One Paradise,” a gig for a cause happening along San Juan beach this April 26 (Friday). A movement to inspire the youth to save and protect the environment through music, “One Paradise” brings together artists from different genres—Sue Ramirez, AC Bonifacio,Cane City, brwn, Quacid, Tanakuta. Jason Fernandez, Miro Valero, Dotty’s World,Agsunta, Migz Haleco, and Parokya ni Edgar—all on one stage. Don’t miss the ABS- CBN Lifestyle Hotshots of 2019, this year’s batch of hunky actors and heartthrobs who will add heat to the event. The “One Paradise” movement aims to help educate La Union locals and Metro Manila’s urbanites on the perils of single-use plastics and promote responsible beach partying. Aside from the show, it includes a eco-brick teaching session spearheaded by L. U. Soul, a community-driven ecotourism movement that promotes sustainability of the world’s fifth longest shoreline, the La Union coastline. One Music PH is ABS-CBN’s music portal that offers Filipinos the total music experience with audio and video streaming, music news, and exclusive digital concerts featuring the brightest Filipino talents. It also allows aspiring musicians a crack at stardom by allowing them to upload their work on the website. 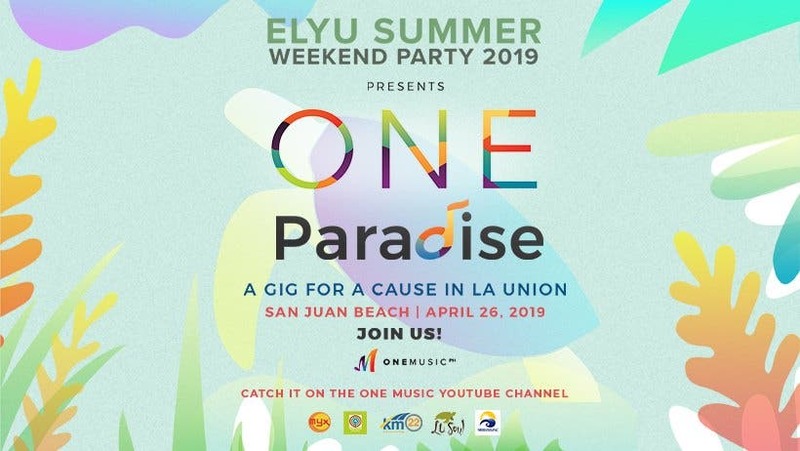 Head out to La Union this April 26 (Friday) and support the “One Paradise” cause.